The Coffeyville Red Ravens have cracked the national rankings for the first time this season. 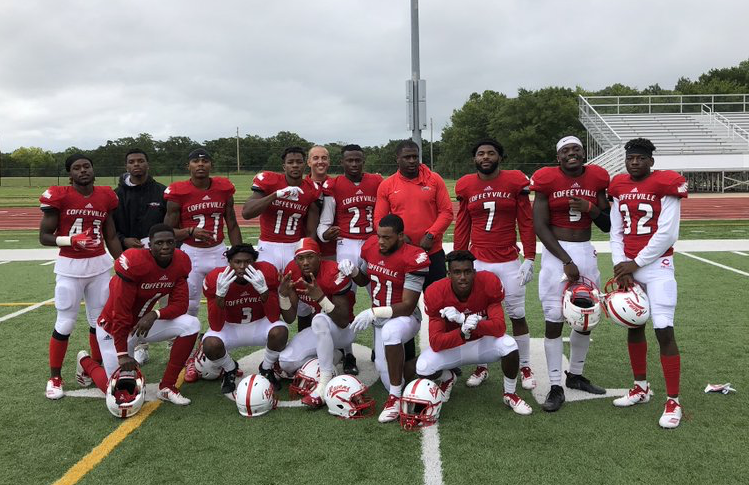 After a strong defensive performance with four defensive touchdowns, four forced fumbles, five interceptions and eight sacks, Coffeyville is #17 in this week's poll. The Red Ravens beat #17 Iowa Central last weekend to move to 2-1 overall on the season. With the loss, Iowa Central fell out of the top-20. Red Ravens start a long road stretch this weekend as they will travel to El Dorado to play the Grizzlies of Butler Community College. Red Ravens coming off a good win against Iowa Central who has a week one victory over the Grizzlies. Butler though, is also coming off a big week 2 win as they beat the number 18 team in the country Highland C.C 35-27. All bets are off this game as both teams historically have gone back and forth and have several similarities on the field. Coach Aaron Flores says this team is big, and will try to run over them. Using their speed to wear down the defense is what they've seen in film as we also spoke with defensive back Alvinoski Lafleur, who received a national defensive player award last week, as he says they have prepared for a tough run game. Though the defense is coming off a 6 INT game but know they have a tough test. Coach Flores says if his team can get up early and hold the lead all while continuing to improve finishing the football game as he says that's been an area of focus these last few weeks. Game is on tonight on your home for Red Raven Football FM 98.1 KUSN, join Sam Speck and Matt Jordan for the pregame at 6:30 with kickoff at 7. Five out of eight teams in the KJCCC made the national rankings including CCC's opponent this Saturday Butler coming in at #20. Other teams ranked include Garden City (#7), Hutchinson (#12), and Independence (#13). Highland got votes, but did not make the top-20.